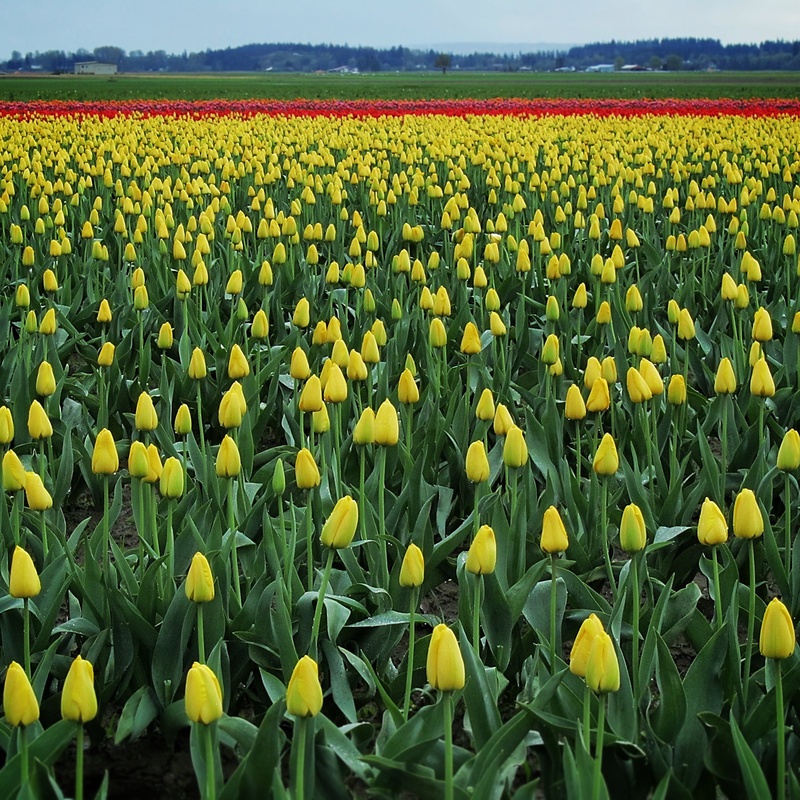 Alisa’s Yellow travel theme has me dreaming of spring days and a visit to the Skagit Valley Tulip Fields. I can’t wait for April! Thanks! I’m glad I looked back to photos from last spring for something yellow! Based on your photograph , neither can I !!! They look so hopeful stretching skyward ! Thanks Naomi. :). I’m looking forward to seeing them again in a few months! Years ago, the day after I got my first really nice camera, I went up to the Skagit Flats and photographed the tulip fields. What a great place to go and experience glorious color. Yes! It’s pretty in all kinds of weather! I just went out through a foot of snow to get some laurel firewood (burns all night for coals in the morning). This warmed me right up. Thanks! Lovely and serene. Very appropriate to the theme. Thanks LD. 🙂 Then fields are a beautiful place to visit. Oh man me too. The daffier in the sat sop valley will be lighting up the fields in April too. beautiful shot and I am so ready for Spring. Oh yes, Daffodil fields are beautiful too! I can’t wait for warmer weather. Just came back from the Northwest Flower and Garden Show, and I can’t wait for spring! Thanks for this beautiful photo of NW loveliness! I’m sorry I missed the Flower and Garden Show this year! I hope you had a great time! Awesome capture! What beautiful and warming sight on this chilly morning. Thanks Jackie, a little cheery color is definitely welcome this time of year! Wouldn’t it be fun to see nothing but flowers! I needed that burst of what is to come in only six weeks–I hope. Thanks Sally, I hope so too! This looks like a painting I once drooled over. Super yellow tulips – always make me smile and feel happy. Thanks! Tulips always make me smile! Thanks Seonaid. 🙂 Might be my favorite shade of yellow. Thanks so much, I have a weakness for tulips too. 🙂 They bloom when I really need to see some natural color and come in so many fantastic colors. We have a small tulip farm just south of here in Holland, Michigan. It is difficult to get a tourist-free shot. Your yellow tulips are cheering. Spring will come. Love tulips! Here in the Caribbean we hardly can find them and when we do, I buy a few. Beautiful, and for just a second I thought I saw the ghost of Tiny Tim out there. Too funny. 🙂 I’m sure someone with a little Photoshop skill has tried that before! A wonderful promise of days to come – fingers fed. Endless field of yellow tulips! Incredible! Hmm some blogs have been dropping out of my reader too. Clicking un-follow then re-following seems to correct it 😦 I’m glad you found my tulips! I’m glad you like it – I can’t wait to see them again in April! I loved driving through the tulip fields. And daffodils and Irises! Love your photo, makes me a little homesick, in a fond way.